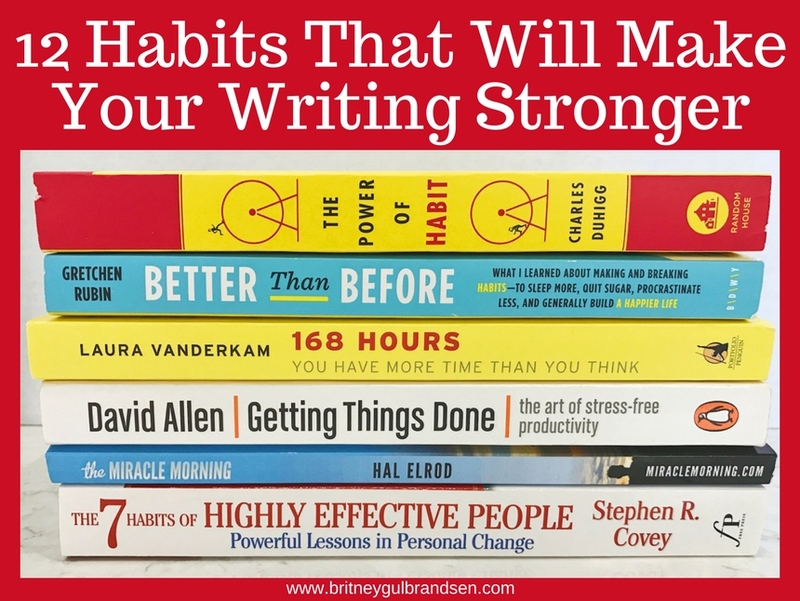 We all know that good habits help us with productivity and reaching our goals, but there are also some specific habits that will help writers make their writing stronger. 1. Take care of your body. I feel like this is a combination of habits that all come together for one main goal: health. The habits will vary from person to person and what makes YOU feel good. Some habit ideas? Drink a gallon of water a day. Get eight hours of sleep per night. Exercise five times per week. Eat four servings of vegetables daily. The tiny habits that you choose to implement aren’t as important as the way they make you feel. And when you feel your best, you’ll be able to put forth your best work. 2. Take care of your mind. This goes along with the first habit in that it’s a combination of habits that work together to help you think clearly. The idea behind these habits is to prioritize thought, self-care, and fun. Meditation, massages, date night, deep breathing, facials, journaling, taking a bath, watching the sunset–these are all examples of ways you can take care of your mind. Pick a few that help you relax or unwind and make them habits. 3. Have a writing routine. If you’ve read my past posts, you’re already sick of this answer. But you should get by now that I believe writing routines hold the key to writing success and productivity. 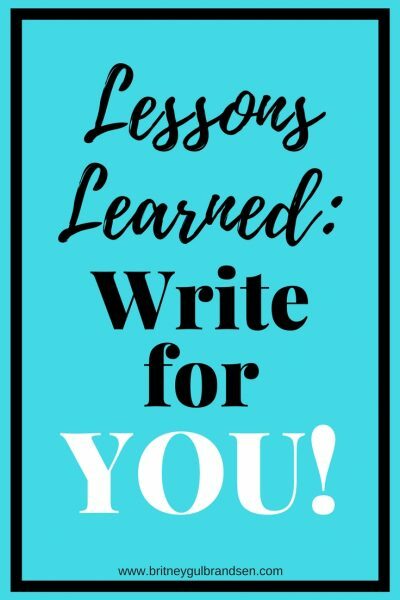 And if you sign up for my newsletter, you’ll get a free workbook to help you create your own writing routine. If you want to write, you MUST read. It’s non-negotiable. You need to know what’s out there–what’s getting published, what’s been successful, what isn’t successful. You can learn so much from reading the work of others. This also includes beta reading for fellow writers. There is so much learning that takes place when you’re forced to critique someone else’s words. Read in your own genre, but also read out of it on occasion. Just read. Have you ever been working on a book, then all of a sudden you realize you’re on Facebook and an hour has gone by? Distractions are so easy to give in to (now more than ever, I believe, with the invention of smart phones and social media). So use timers when you start time sucking tasks and track how you spend your time throughout the day. Even doing this for a few days can be eye opening. Once you know just how often you stop writing to “do some research” or check email, you’ll realize how much more you could be accomplishing. It’s also helpful to know how fast you typically write. Some people write an average of 400 words per hour and others write 1500 words per hour. What’s your average? Tracking your time (along with your word count) can hep you figure this out. Then you’ll be better equipped to set realistic writing goals in the future. 6. Have quiet time daily. I know, this sounds like a preschool activity, but it’s so beneficial to your mind, inspiration, and the writing muse to sit in silence for a few minutes every day. This can be at any point during the day (I like to do it first thing in the morning or right before bed at night). No music, no tv, no social media…just sit and think. There is so much beauty in silence. Journaling can be so great for writing. Not only will you have a log of thoughts, feelings, and experiences to look back on and use for future writing inspiration, but you’ll be able to unlock your mind and find things you didn’t know you thought or believed. 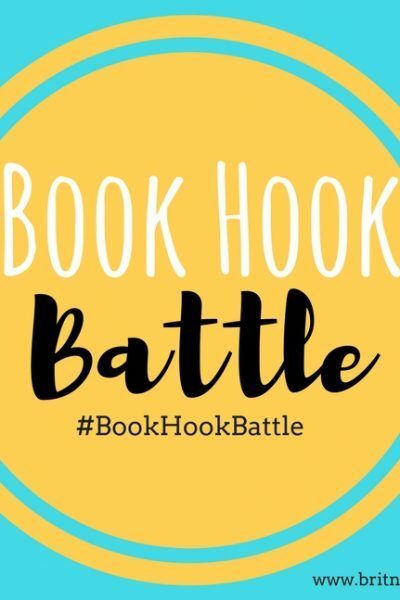 Some of my best writing inspirations (characters, plot hole fixes, etc.) come to me when I’m journaling. Julia Cameron’s morning pages from her book The Artist’s Way are another way to do journaling. 8. Learn something new every day. Writers tend to love to learn. They like to read, they like to research, they like to study. And that’s because knowledge fuels good writing. So make it a habit to learn something new every day. Watch documentaries, browse Wikipedia, listen to a podcast, read nonfiction. Keep learning. 9. Set and stick to a bedtime. Yes, I know this is another childish idea, but having a bedtime and sticking to it will help ensure you get enough sleep and keep your mind fresh. Don’t get sucked into a Netflix binge, Instagram browsing, or midnight snack runs. Typically, most of us aren’t very productive after midnight, so get to bed and refresh for the next day. Organize your writing area, your writing files, your day. The more organized your are, the more productive you’ll be. If you have to spend five minutes every day looking for your novel notebook, that’s five minutes of writing time you’re losing. If you have to clear off your desk each time you sit down to write, you’re wasting time that could be spent putting words on the page. Organization and productivity go hand-in-hand. This can be a short sentence you repeat several times a day. This can be a paragraph you read to yourself each time you sit down to write. Or this can be a page that you recite every morning when you wake up. It sounds silly, but affirmations really work. And they’re most effective when said out loud. When you hear yourself say something, you start to believe it. So write affirmations that inspire you to be your best self, even if you don’t believe one word of them. Eventually, you will. 12. Always be working toward a goal. Be the kind of person who sets goals and constantly pushes toward reaching them. And when you do reach your goals, set new ones. I like to set daily goals–small, simple things I can do each day to get me one step closer to my short term goals. And those daily goals can change every day. Look at your day and the time that you have and pick something you can do to get yourself closer to the end result you desire. 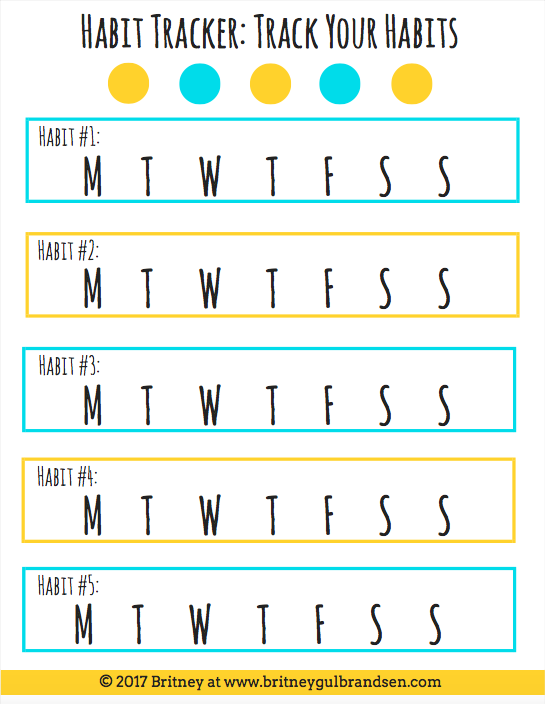 Click here to grab your FREE printable habit tracker! 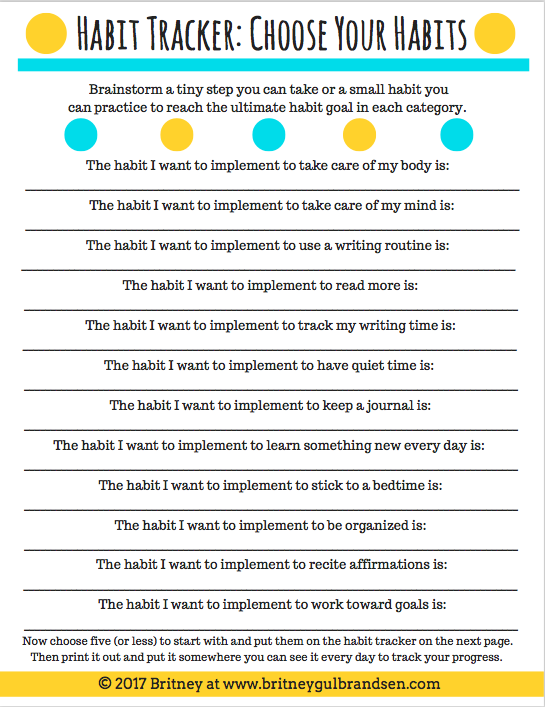 What habits do you have that help your writing?